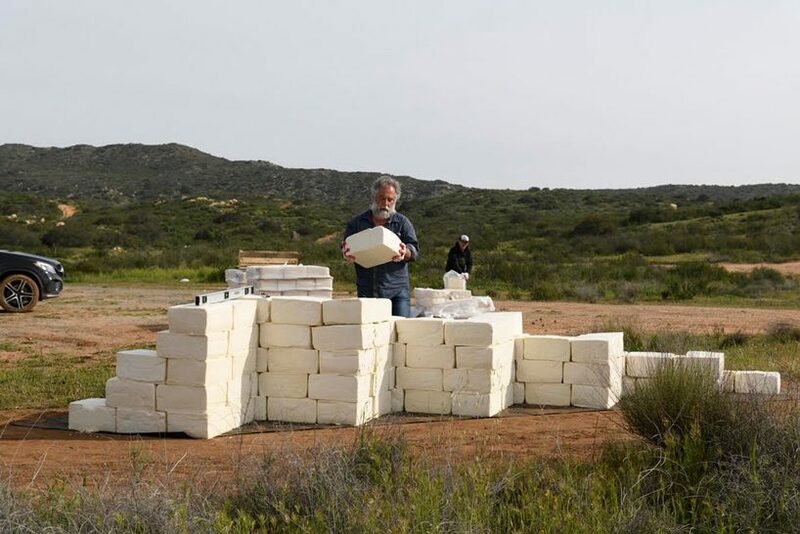 italian-canadian artist cosimo cavallaro has begun construction on his six-feet-high (1.8 meter) wall at the US-mexico border, which is being built with large blocks of expired cotija cheese. 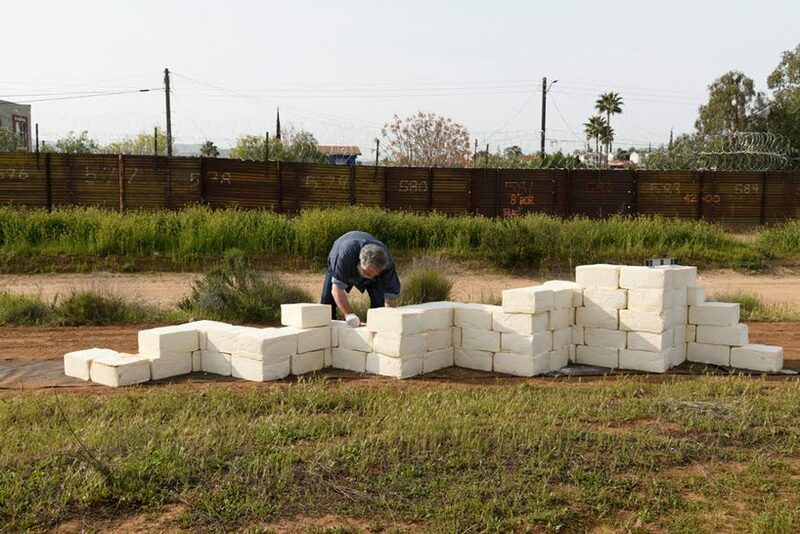 developed in response to the political environment we are living in today, the installation seeks to make people look at the wall in a different way, and make us realize that no matter which side of it we are standing, we are all the same. 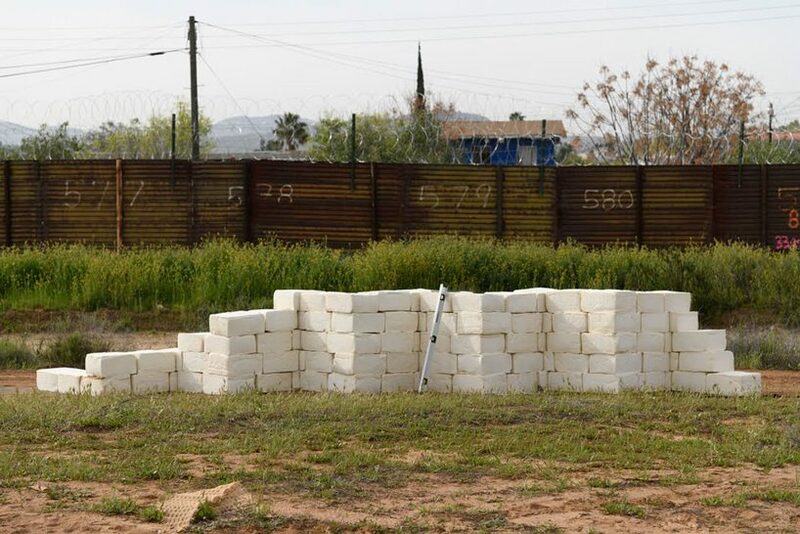 ‘I don’t like walls,’ notes cavallaro. ‘so this is a wall that I can handle, this is a wall I can live with, because this wall is a perishable, it will not last. the cheese is spoiled. 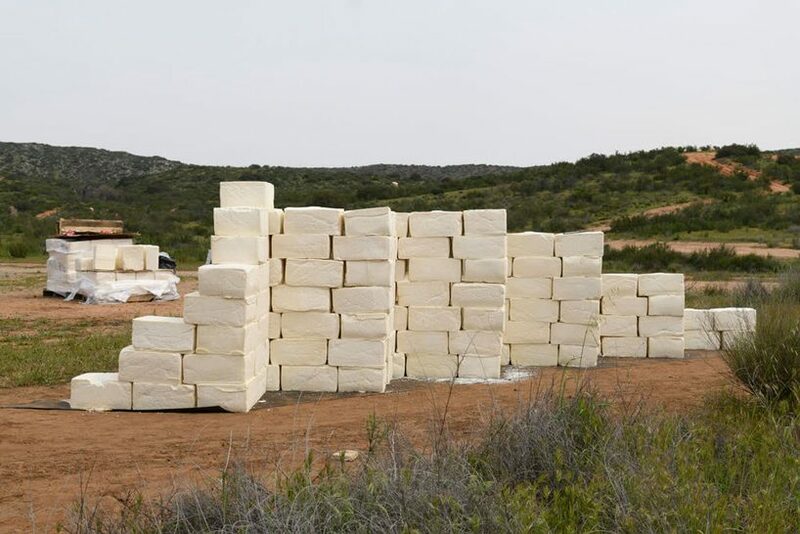 it just means that for the regulations it’s not to be consumed.’ while construction begun on monday, 25 march, the cheese wall’s length depends on donations collected through the project’s funding campaign, as well as on the sales of ‘make america grate again’ merchandise. 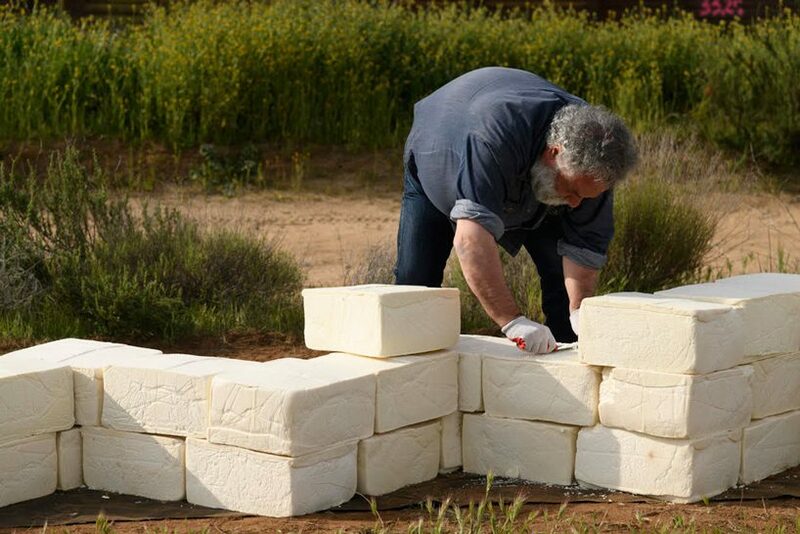 supported by non-profit organization art above ground, the artist is trying to raise $500,000 to purchase the expired blocks of cheese needed, rent the land, and compensate the workforce – a sum much smaller than the $10 billion it may take to build other walls. I was going to make a cheese joke, but I cheddar not. Today’s date looms large in my mind, and it has become customary to sneak a silly story in with everything else…also it is my birthday. 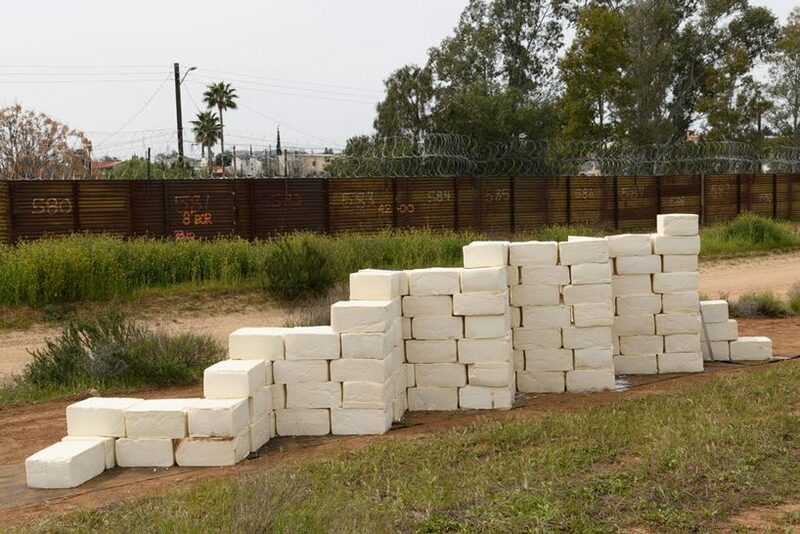 I case(ing) this is a real story, how can a wall of cheese make us feel like we are all the same? 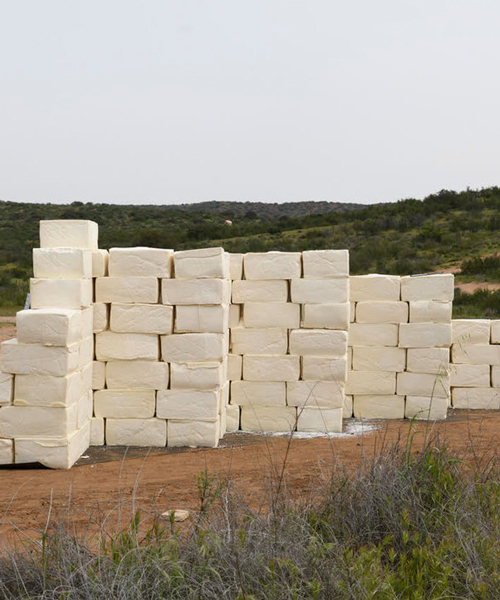 Certainly those downwind of a rotting cheese wall will feel like they have the stinky end of their position.